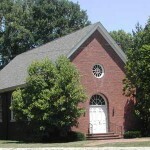 I’m a solo pastor of congregation in a small town in Tennessee. For the past two years at the beginning of a new year of youth group we have done an activity that focuses on our words. It is a simple activity. We draw and cut out a full size person out of paper and we lay our paper person on the ground and we circle around. Someone draws a face on the person & then we all decide on a name. Last year we named our person, “Harold.” This year we named her, “Haroldina” (Yes, super creative, I know). This year once Haroldina was smiling in front of us, one by one we went around the circle and insulted Haroldina with whatever verbal pain we had to throw at her. Each time a person insulted her with their words they had to rip off a piece of her. One by one, Haroldina took a beating and she got smaller and smaller. At first we were predictable with our verbal pain, “You are ugly!” “You are stupid!” “No one likes you! Go away!” Then we got creative, “You are so one dimensional, Haroldina!” “What a stupid name, Haroldina!” Then came my turn, I looked at Haroldina and yelled, “You are so GAY! !” The group immediately broke into awkward laughter and gasps of shock. In the past I had always corrected them when I heard that phrased used in such a way. Now, they were hearing it straight from their preacher’s mouth! We finished the exercise and Haroldina was left in shreds. We all shared about how words have power and how in our youth group we will use our words to build one another up. Then I told them that I wanted to share about why called Haroldina “gay” during this activity as an insult. I told them how upsetting it is to me when I hear the word “gay” as a substitute for anything stupid, undesirable, or strange. I mentioned a story I had heard recently of a 14 year old gay teenager who killed himself and told them I don’t want anyone to ever feel so alone or hated that they would see death as their only escape from the pain. Haroldina gave me the chance for me to tell the youth of my church why I don’t let the phrased, “You are so gay” be used as an insult. I looked at each of them in that circle and told them that my prayer for them is that they will always know how precious they are to God and nothing, no word, or insult will ever change that truth. Like a lot of ministers I tend to measure my own job performance in the typical ways. How is our attendance? Do we have enough money in the offering plate? My spirits can soar when we have a few good weeks of attendance. I get downright giddy when new people join the Church. I can also begin to wonder if I’m not measuring up whenever the offering plate gets a little low. We don’t like to admit it, but those measuring sticks are always in the back of minister’s minds. Lately, I’ve been measuring my job performance in a different way. I think about that 14 year old boy in Tennessee. I picture this young boy, the one who was being raised by his grandmother. I imagine how alone he must have felt and I ask myself, “If he were sitting on the couches in the youth room on Wednesday night, would he be afraid that I wouldn’t accept or love him if he were gay? Would he know that his minister would remind him of how perfectly and totally he is loved by God?” I hope – I pray, I’ve done my job.